What Are The Most Desired Party Foods For Kid's Birthday Party. What Are The Best Kids Party Foods? Jump’n Land is the number one place for kids party food and kids party place. We serve a variety of foods such as such as pizza, chicken nuggets, and french fries. These kinds of foods are excellent for a kids birthday party as most kids enjoy these foods. Children will be able to satisfy their appetites with this delicious food options. We provide the best Kids Birthday Party Food Ideas every parent and child will love. Serving pizza at a party is a food that children will enjoy at a party. Pizza is a simple food and does not require a lot of supplies to eat. Guests can enjoy our pizza with our colorful paper goods which can make this more enjoyable. Pizza is also an excellent choice for kids because it is inexpensive and is available in large quantities. Therefore this can feed multiple children and they can enjoy more than one slice. This is also a great food for parties as pizza can include toppings such as meat or vegetables. Chicken nuggets is another great food to serve at a kids party. These kind of nuggets are available in a variety of shapes which can make eating this food interactive and fun. Serving chicken nuggets is a hassle-free food to serve at a kids party. Chicken nuggets do not require a lot of preparation which is an excellent benefit. They only require being heated and served on a tray with various condiments. Serving french fries at a party is an excellent food to serve at a children’s party. Children will be thrilled to smell the salt and potatoes as they are brought to the table. These can be baked in the oven and lightly salted. French fries are an excellent addition to pizza and chicken nuggets which kids will enjoy. In addition, french fries are served with a variety of condiments such as ketchup and barbecue sauce. A birthday cake is the best sweet treat to serve at a kids birthday party. Birthday cakes can be made in various flavors, designs, and themes that will make eating birthday cake more enjoyable. 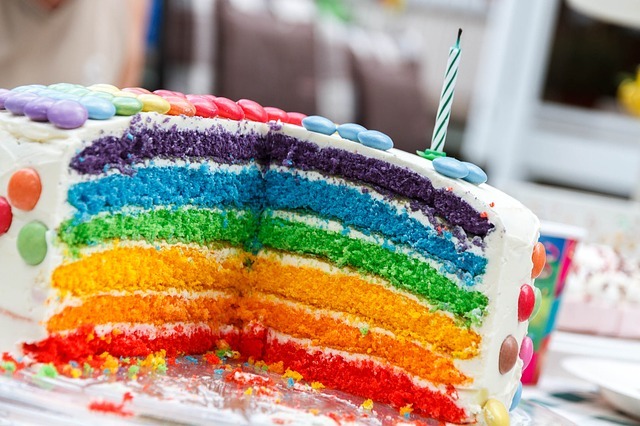 Children can get their sugar intake from eating birthday cake. Children can enjoy their birthday cake in one of Jump’n Lands great party rooms. In addition, the birthday cake can be served with ice cream which is an excellent addition. Popcorn is one of kids favorite foods. The butter and salt allow kids to enjoy this party snack. This is an easy snack to prepare for a group of children at a party. Popcorn can be served in bags which is a great way for kids to eat popcorn. Therefore, this also will allow less time for cleaning which is an excellent benefit for parents and staff at Jump’n land. Jump’n Land is the best kids party place in Sherman, TX and we serve the best kids party food. We offer a variety of entertainment options for kids to enjoy at a party. Call us today at (903) 893 4350 to find out about our birthday party packages!